The subject of medicalisation of childbirth in colonial India has so far been identified with three major themes: the attempt to reform or ‘sanitise’ the site of birthing practices, establishing lying-in hospitals and replacing traditional birth attendants with trained midwives and qualified female doctors. 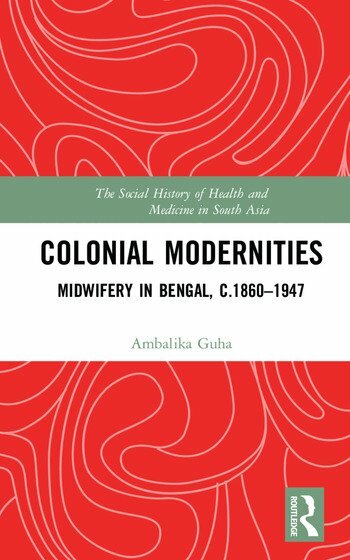 This book, part of the series The Social History of Health and Medicine in South Asia, looks at the interactions between childbirth and midwifery practices and colonial modernities. Taking eastern India as a case study and related research from other areas, with hard empirical data from local government bodies, municipal corporations and district boards, it goes beyond the conventional narrative to show how the late nineteenth-century initiatives to reform birthing practices were essentially a modernist response of the western-educated colonised middle class to the colonial critique of Indian sociocultural codes. It provides a perceptive historical analysis of how institutionalisation of midwifery was shaped by the debates on the women’s question, nationalism and colonial public health policies, all intersecting in the interwar years. The study traces the beginning of medicalisation of childbirth, the professionalisation of obstetrics, the agency of male doctors, inclusion of midwifery as an academic subject in medical colleges and consequences of maternal care and infant welfare. This book will greatly interest scholars and researchers in history, social medicine, public policy, gender studies and South Asian studies. Ambalika Guha is an independent researcher based in Kolkata, India. She completed her education at Presidency College, University of Calcutta, Kolkata, India, and Victoria University of Wellington, New Zealand. She is also a member of the New Zealand Asia Society.